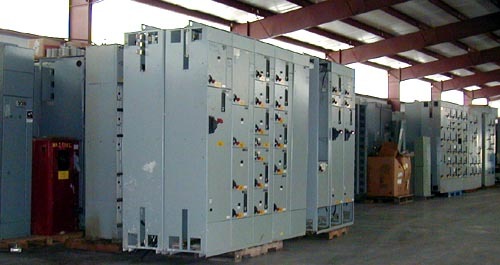 Providing surplus, remanufactured & used motors plus electrical apparatus for sale to all industries. For more than thirty-five years, North Carolina Motors & Controls, Inc. has provided quality remanufactured motors and other electrical equipment to all industries. Archie Bullard, who began working in the motor business at age 14, started the company in 1969 in Raleigh. The business operated in Raleigh until 1988 and after experiencing phenomenal growth moved to Bailey, North Carolina for expansion. With a steadfast commitment to quality, service, honesty and inventory, Archie and his son Ike Bullard have expanded the business to its present international status. With six warehouses totaling more than 102,000 square feet of warehouse space, North Carolina Motors & Controls, Inc., offers one of the world’s largest inventories of motors, motor starters, motor control centers, switchgear, circuit breakers, transformers and much more. We pride ourselves in having the inventory that we advertise, and for the rapid response and delivery service that we provide. It is not unusual for us to have a motor, starter, transformer or other electrical item on the road in less than an hour for an emergency delivery. We want to thank you for visiting our website and the opportunity to provide our service and equipment to you. Please check our website regularly for updates, as our inventory changes daily.